For 25 years, Regan Development Corporation, a family run business, has developed over $384 million worth of residential and commercial real estate and affordable housing developments, improving the lives of thousands in the process. We are committed to the renewed vitality and continued growth of the communities where we work. From residential opportunities for young working families and senior citizens to commercial shopping opportunities in urban and suburban settings, Regan Development has always worked for community improvement. In addition to development, our firm maintains long-term ownership in the large majority of our projects, helping to maintain the high standard we set during construction. Our efforts in revitalization have won accolades and awards from towns and cities throughout the tri-state area. Regan Development’s work is about more than creation or restoration of buildings, it is about restoring and improving communities. 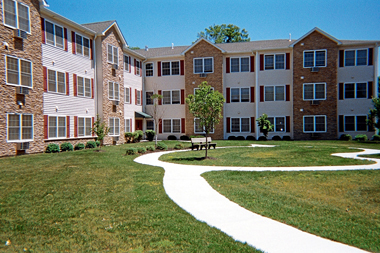 Throughout New York, New Jersey and Connecticut, Regan Development delivers quality improvements. From Fishkill to New Haven, Clifton to Newburgh, Bayonne to Monticello and the rest of the metropolitan area, Regan Development remains committed to community vitality through high quality development. If you are looking for commercial or residential real estate or affordable housing developers in the New York (NY), New Jersey (NJ) and Connecticut (CT) area, consider Regan Development Corporation and its vast experience.